Does Coassemble have a spell checker? When a word is misspelled, it is indicated with a red line under it, but there don't seem to be any recommendations. Because Coassemble is a global product, we use inbuilt browser support for checking spelling mistakes. 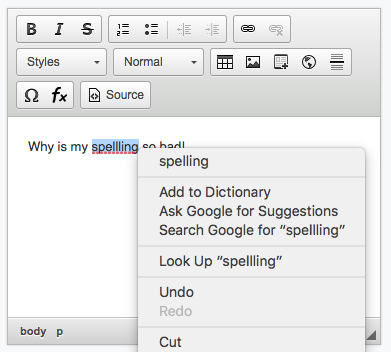 This way, the spelling suggestions adapt to the end-users settings. To access suggestions you just need to right-click on the word with the red line through it. If you're on a mac, it's command right click. 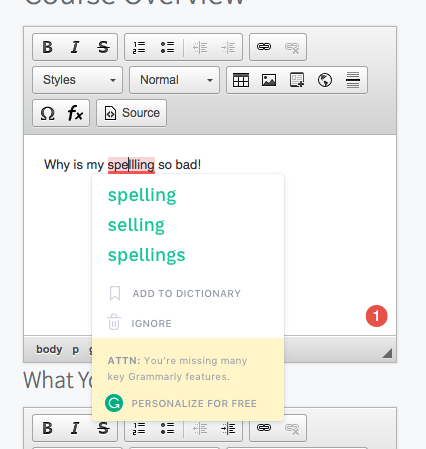 Another suggestion is to install the free Grammarly plugin for your browser. Our team here uses it and they think it's great!